Microsoft is well indulged in its event, announcing new hardware as well as software. 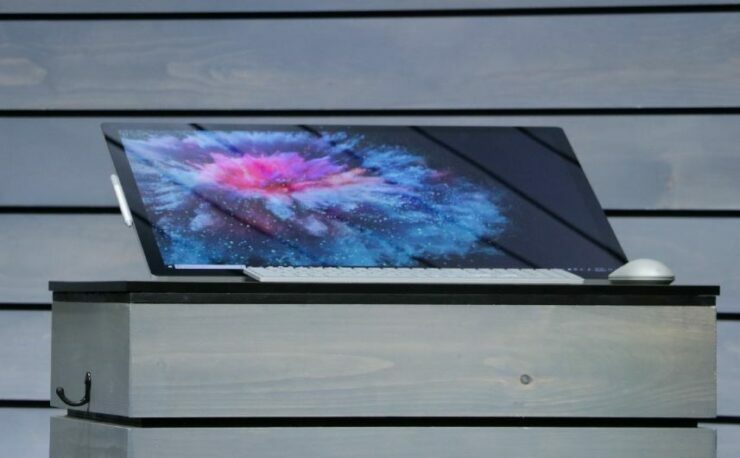 the company just unveiled its Surface Laptop 2 with powerful internals and an advanced display. Now, the company took center stage to announce the Microsoft Surface Studio 2, which is a pretty solid refresh. It now features a brighter and better display, boasts more power and better graphics. Let’s see some more details on it. Microsoft went ahead and announced the new Surface Studio which looks a lot like the previous model so there are no major physical differences. The product is oriented towards work and home and we couldn’t agree more. First of all, let’s dive into the display specifications and variations. the display is 38 percent brighter than the previous model and features 22 percent more contrast. It relies on the new LCD as well as a new oxide transistor technology. Since the hardware is aimed at creators, the brightness and the improved display tech is a welcome addition. The new transistor and revamped display technology allow it to be much brighter than before with way more color accuracy. the company can now better align the polarizers in the screen with the liquid crystals. If numbers are anything to go by, it is now 500 nits brighter than before. With these specifications, the Surface Studio 2 will possibly support HDR as well. It has the best in class latency and also features Tilt sensitivity. Again with the numbers, the Microsoft Surface Studio 2 features an astounding 4096 levels of pressure. Other than the display, the Surface Studio 2 from Microsoft also adds NVIDIA’s next generation Pascal graphics. Moreover, it also houses 2TB of SSD storage and gets rid of the hybrid disk drive. The new storage system is definitely a pleasure. 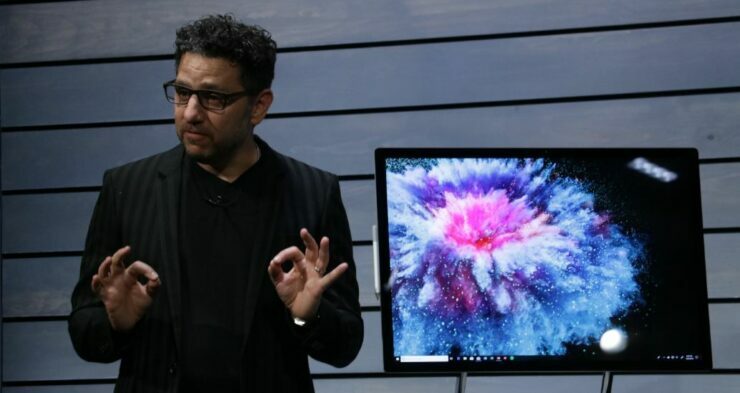 The Surface Studio 2’s availability and prices have not been revealed as of now and seem to be “coming soon,” says Panay. There will be more to the story, so be sure to stay tuned in for the latest. The company is also announcing more products so check them out as well. This is all for now, folks. What are your thoughts on the Microsoft Surface Studio 2? Do you see a reason to upgrade? Let us know in the comments.